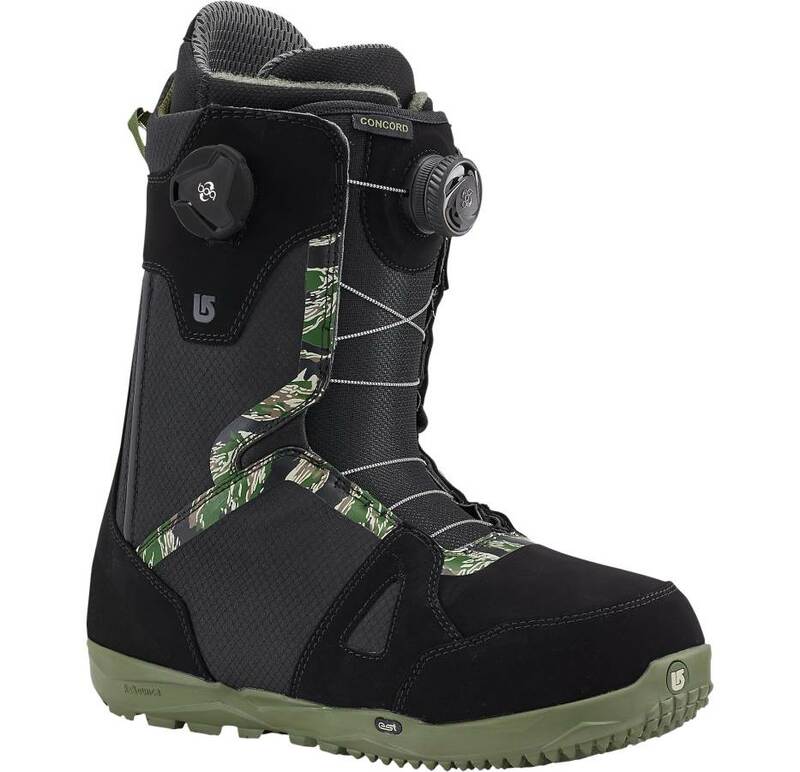 So with the Burton Concord BOA Burton finally got into the BOA game. The real BOA game and not the Rope BOA’s they had last year. 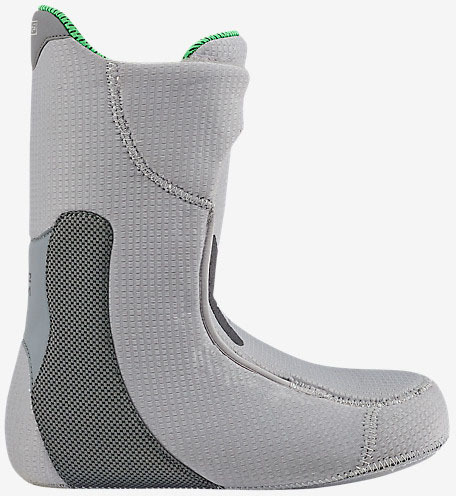 They made BOA in their own unique Burton way which offers a great alternative for those that want upper and lower separation like Speed Lace when it comes to adjustability. 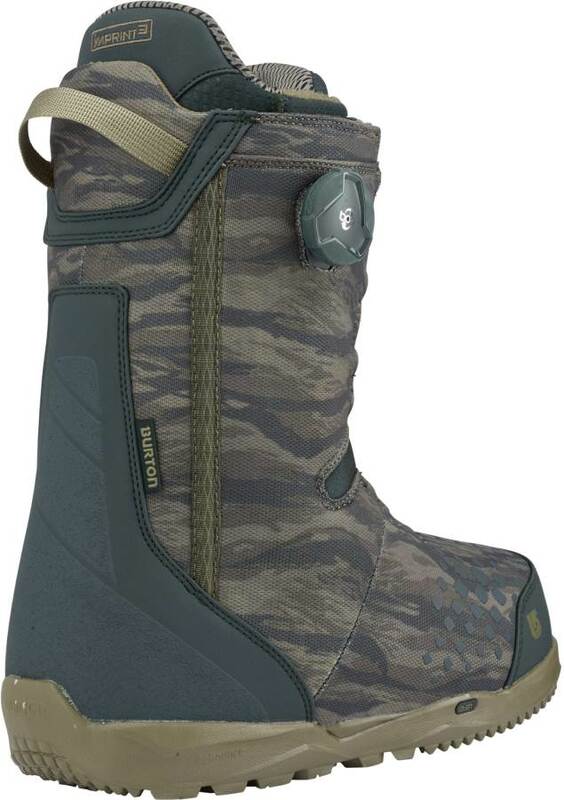 There are 2 main things about the Burton BOA’s that are different than most BOA’s out there. 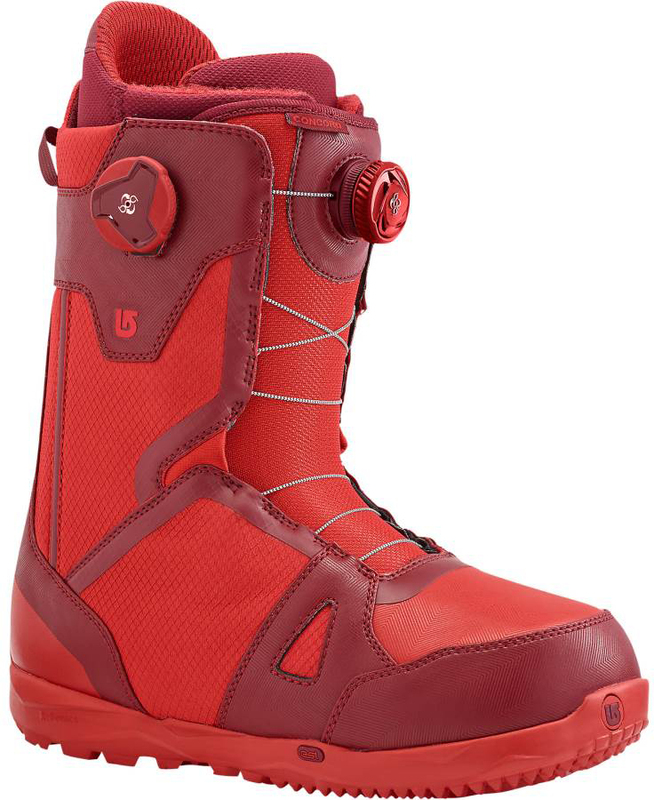 Burton’s BOA system is not rope like last year but the same BOA that you see on other boots in the industry but their Upper and Lower BOA are completely separate so it’s just like their speed lace. If you want the upper loose and lower tight you can do it. Most double BOA boots can’t do that. They both meet too close at the ankle so there is no real separation between upper and lower. So good job here Burton. 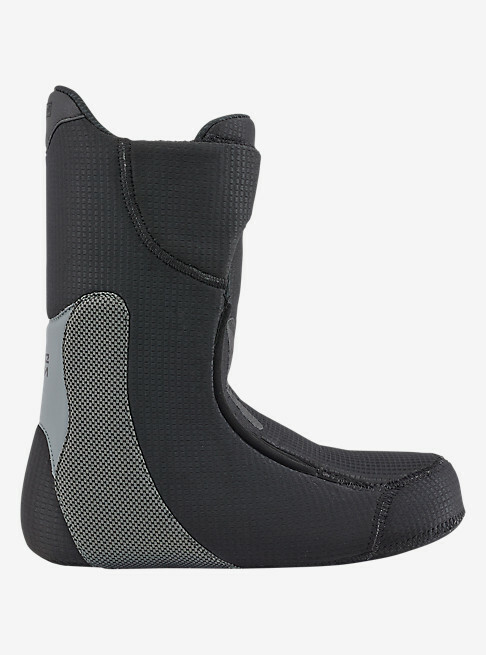 You can get a real crank down going with these just like BOA but you can also tighten this according to your feet/shins. It helps you avoid the over adjusting problem that many BOA users have. You have probably seen it. 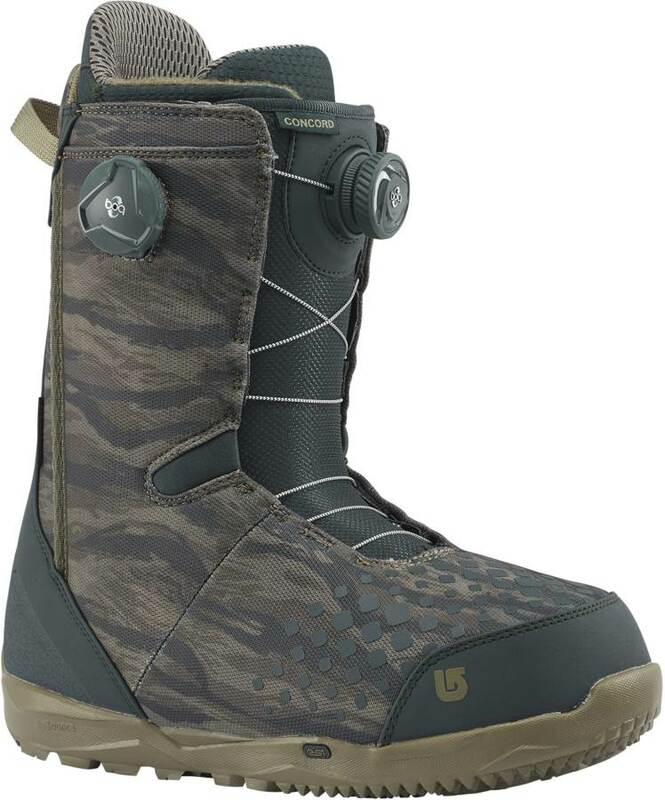 Your friend takes longer than a traditional lace boot to get his BOA’s dialed. They crank them too tight, release them and then have to start over with very loose cables. It’s really annoying. If you give the BOA’s on the Choncord a little twist flick then the loose cables are auto tightened a bit like a tape measure rolling back in when you are done. It gives you a nice head start and allows you to not have to turn that dial forever. Set Up: Set back and centered. 15 -15 and 18 0 approx 23 Inches wide. Fit: Very true to size. 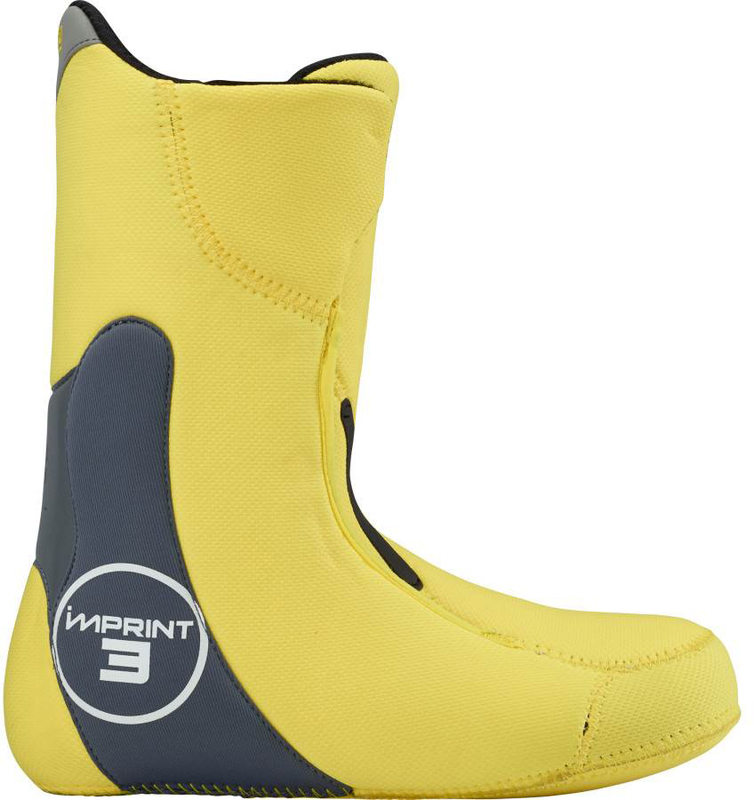 My size 9 foot fit’s their size 9 boot very well. 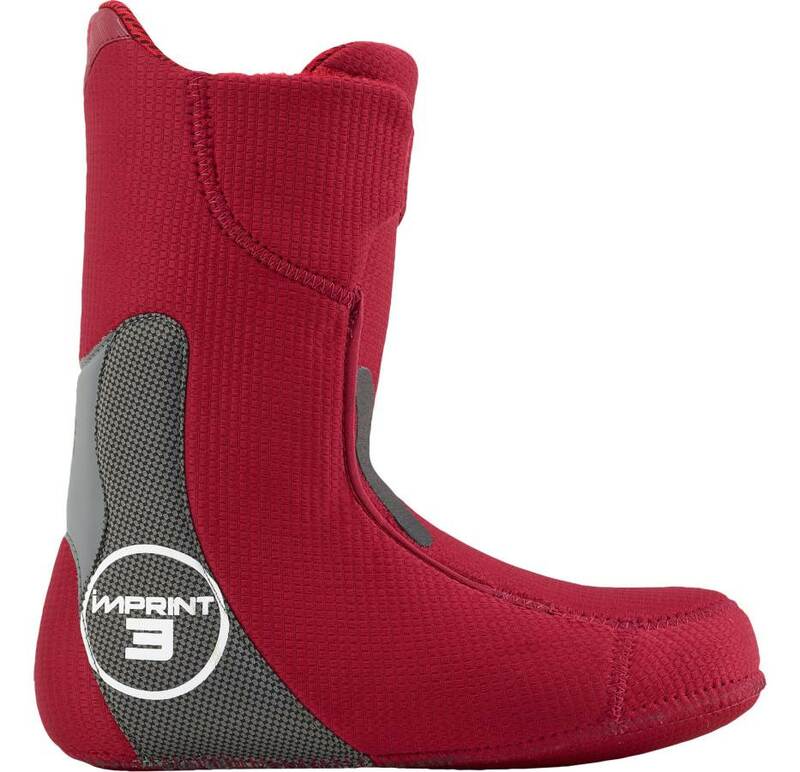 There is also a little room width wise in the front so my foot can expand a bit width wise on a forward lean. Flex: The demo model felt a little on the med/stiff side but the production models we are seeing are softer and more in the mid range of things. Recently Burton wen through a softening cycle. Often Burton will go to the stiffer side for a few years, then go softer for a few and the cycle continues. Turn Initiation: Even though it feels stiffer than its flex rating it’s got the same kind of smooth response ride that most Burton boots do. 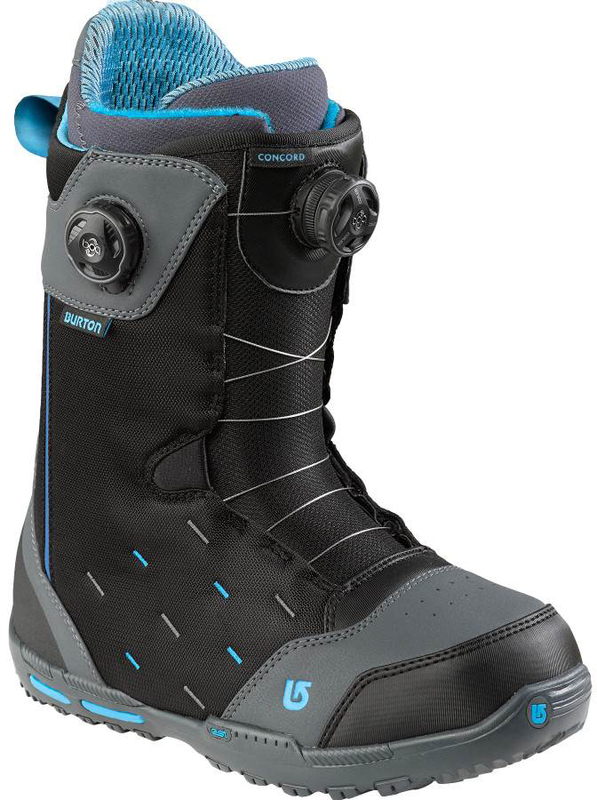 Comfort: It feels a little more firm inside and a little less cushy than the speed lace models. 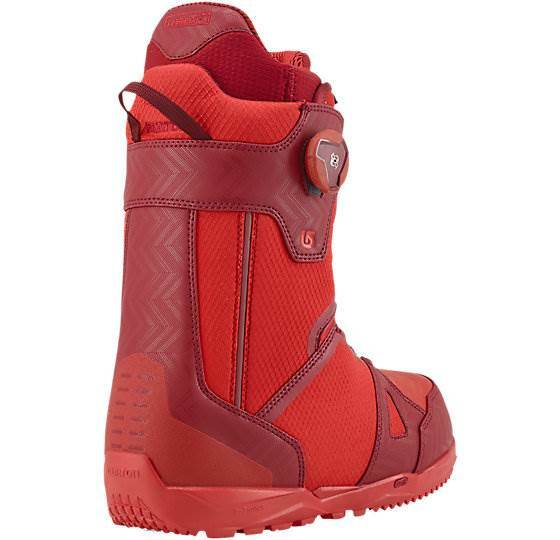 It’s not bad but it seems like it might take a little more time to break in than most Burton boots. Otherwise it has the same fit and feel. Heel Hold: You know the Burton BOA isn’t the kind that focuses around your ankle but it does lock in your heel a little better than many of their speed lace or traditional lace boots. 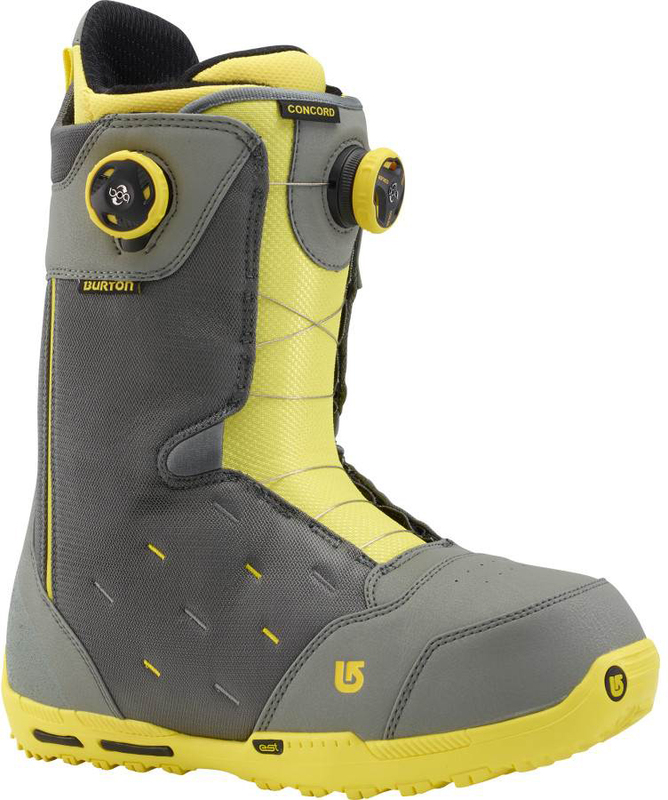 Adjustability: So here is the great thing about Burton’s BOA. 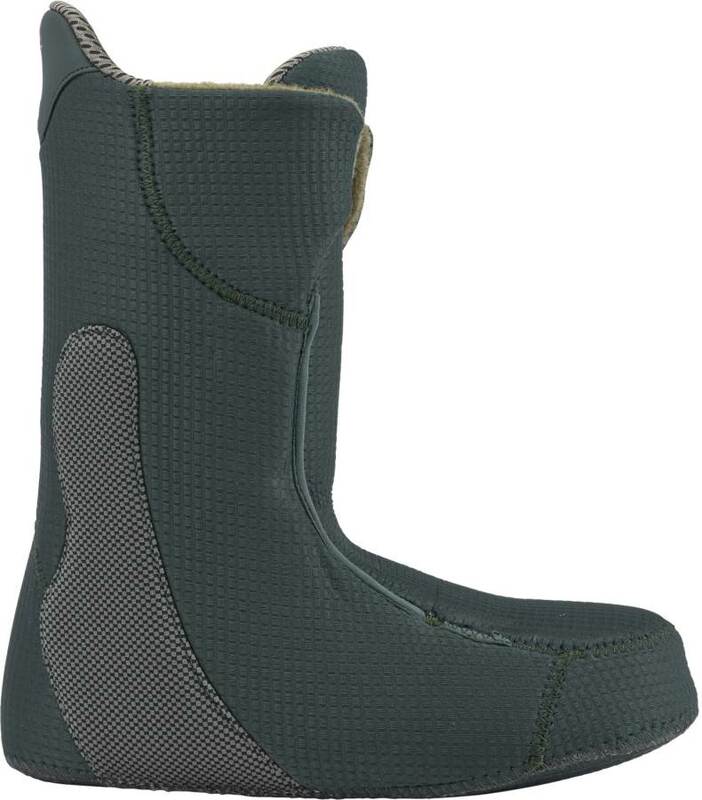 It allows the upper and lower regions to adjust separately. Most double boa boots don’t do that. 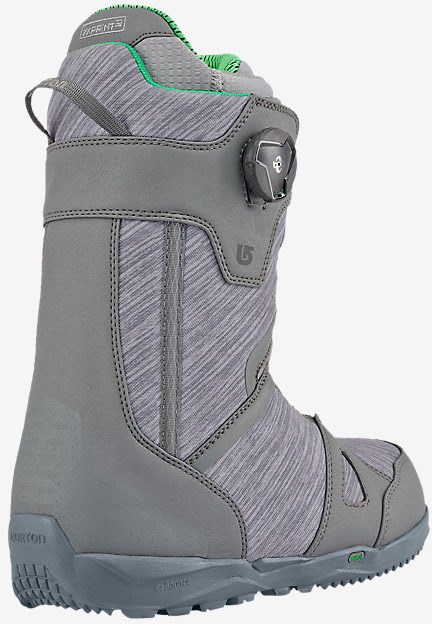 Flex Retention: This is a new boot so we aren’t 100% sure on how well it will hold up but even cheaper Burton boots don’t break down super quickly. There is also a little ankle articulation. 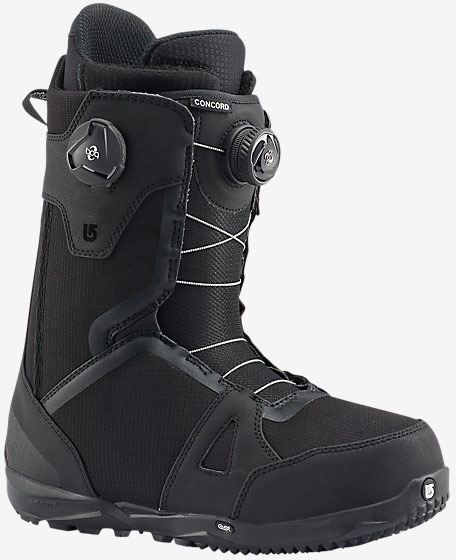 Shock Absorption: Same shock absorption as other boots like the Ambush, AMB and Fiend which is pretty good and at the top of the Burton Spectrum in terms of shock absorption. 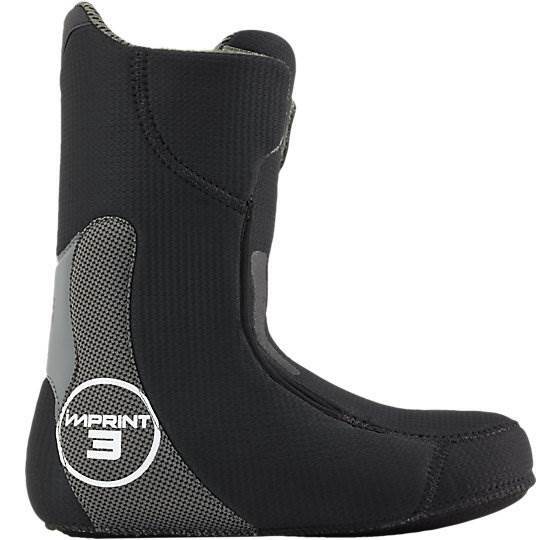 There are boots with more shock absorption from other companies but this is pretty good. 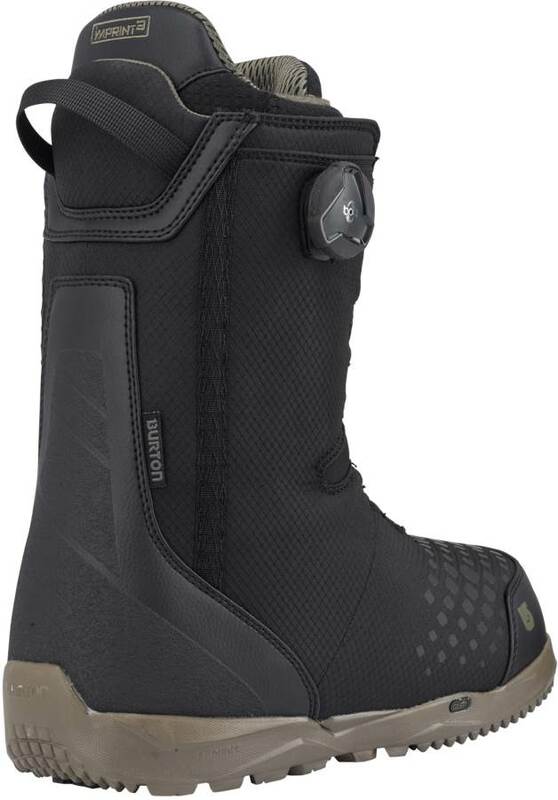 Traction: Really hate to see Burton move towards an almost single mold EVA boot but at least they didn’t go all the way. 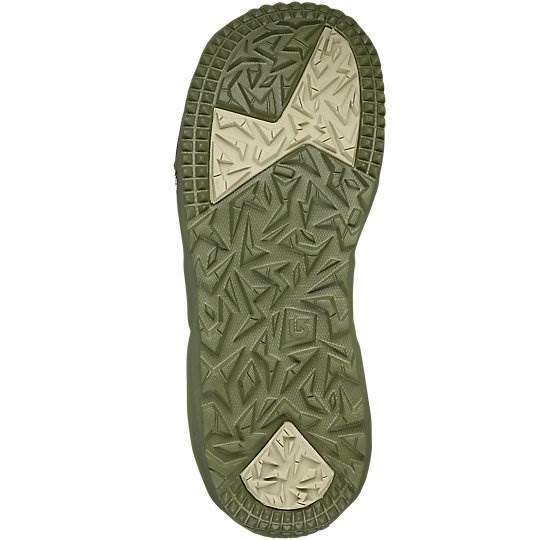 There are still some rubber patches in the heel and near the front of the foot so it’s not a complete loss. I’ve used these soles now for over a season and they are ok. It’s not a scary night mare like single mold EVA foam but there are some slippery moments. 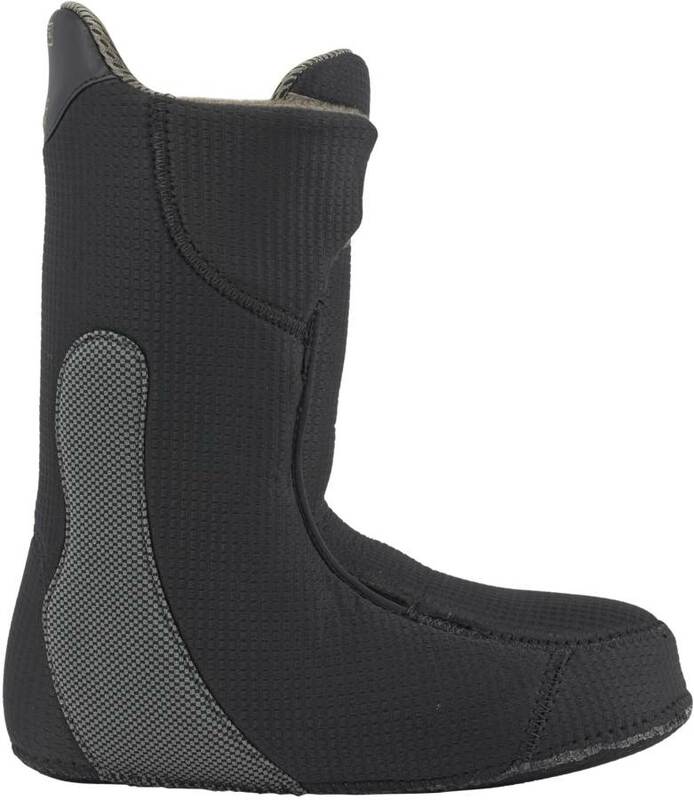 Still wish they would go back to rubber across the entire bottom of the boot. 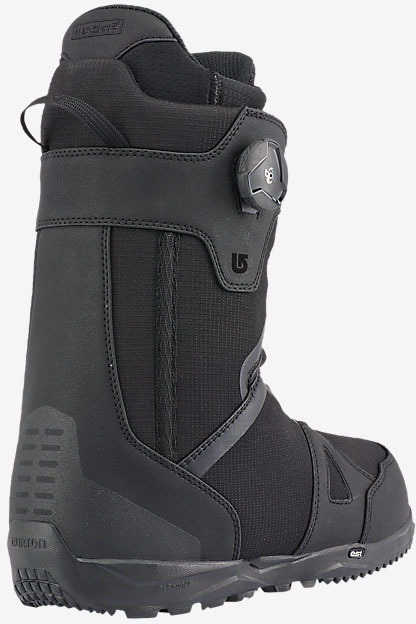 Footprint: Burton, along with Ride use to have the most reduced footprint and were the best option for reducing toe/heel drag with in between sized boots. However in 2017 some of the industry caught up and some, like Adidas, surpassed them. With a size 9 Adidas I’m seeing about 1/2 to 3/4 of an inch shorter than a size 9 Burton boot and they both fit the same on the inside. 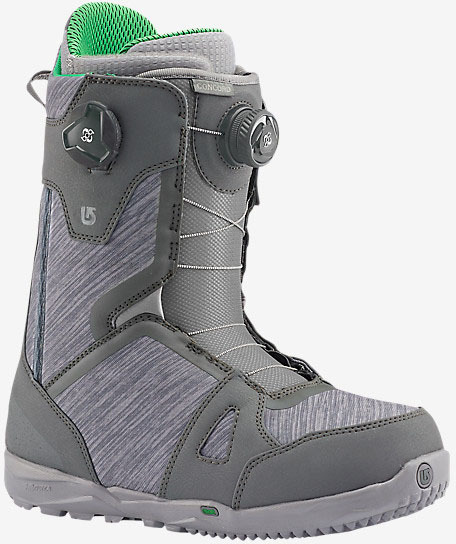 On & Off Ease: A little slower than speed lace for getting the boot on and dialing it out for your fit but it’s a little faster/easier getting it off. 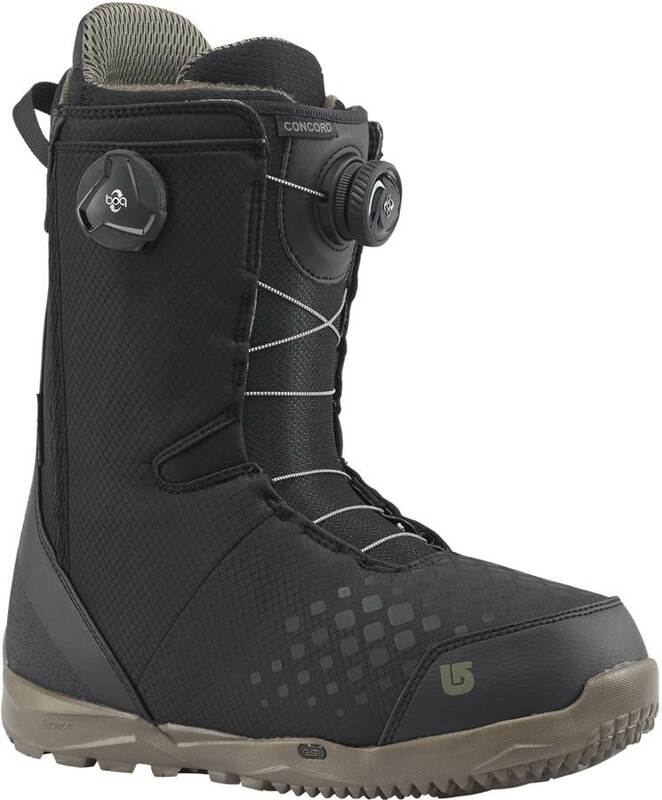 So all in all this is a very recommendable boot for those that love the idea of BOA but want truly independent upper and lower adjustability. We try to get as many images of the Burton Concord BOA, but forgive us if they're not all there.